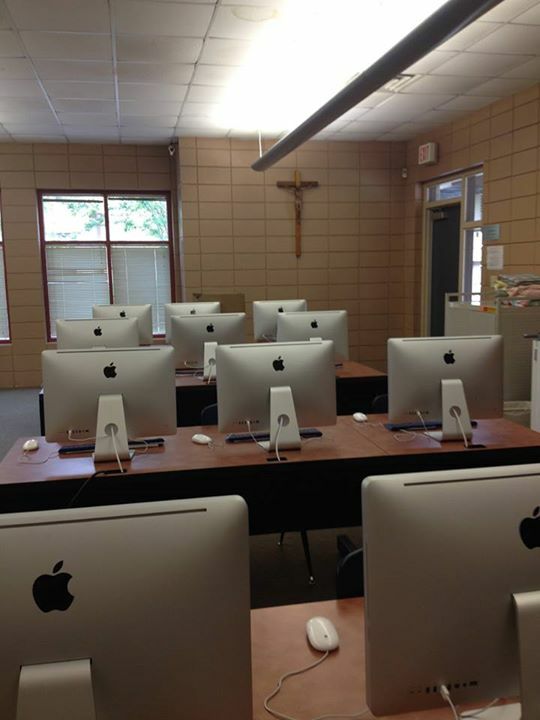 Our Lady of Mercy Catholic School is a member of the National Catholic Education Association (NCEA) and is approved and accredited by the State of Louisiana. Our Lady of Mercy Catholic School is also accredited by Southern Association of Colleges and Schools (SACS) and AdvancED. The school upholds all policies contained in the Administrative Manual of the Diocese of Baton Rouge, which is available for review at the school office. The curriculum used at Our Lady of Mercy is in accordance with state standards and best practices for pre-kindergarten through eighth grade education. We are committed to continuous curriculum improvement and updating of teaching methods to meet the needs of 21st century learning and to enable students to achieve academic excellence. Our Lady of Mercy Catholic School admits students of any race, color, national and ethnic origin to all the rights, privileges, programs, and activities generally accorded or made available to students at its schools. It does not discriminate on the basis of race, color, national and ethnic origin in administration of its educational policies, admissions policies, scholarship and loan programs, and athletic and other school administered programs.